YMCA - Rotary Camp Presqu'ile is a unique summer camp located in South Western Ontario. Through low camper staff ratios, campers are able to be members of a community that focuses on fun, fair play and building relationships with fellow campers and staff. 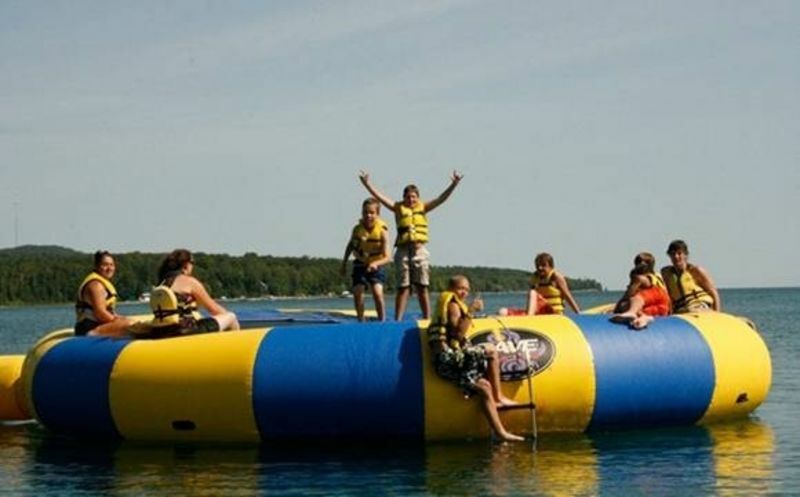 From a Water Trampoline to Archery to Music and Arts and Crafts, we have a little something for everyone. Welcome to YMCA - Rotary Youth Camp Presquile. Located on the west side of Georgian Bay between Owen Sound and Wiarton. Presqu'ile offers a wide range of programs for all to enjoy. We got a great staff team and a wonderful site. I look forward to meeting you, if you have any questions please contact me and I would be more than happy to talk camp with you. The group of counsellors at Camp Presquile were very amazing at helping my son meet other kids. It was his first time every away and I really appreciated the attention that they gave him on his first day. Even when I called the camp after the first night “Andy” was great at checking in with the cabin counsellors and making sure that he was adjusting to camp. I am very impressed by the staff with their energy and dedication that they have in making his experience great. Our son is very excited to return back next summer. He even said it would be great to go for two weeks next time. It was a long week for us (parents), not having him around, but knew that it was an experience that would help him grow and expose him to different things. I feel great that I had chosen the right camp for our son. Camp Presquile will be forever a positive expirence for our son. A special thanks goes out to “Rambo” (camp name) and Andy. Scott really enjoyed his week and when I asked him why, his comments always go back to the energetic and happy atmosphere and all of the counselors are friendly and supportive." He particularly enjoyed the team building sessions. We noticed a maturing in Scott over the summer and feel his time with Presqu'ile helped to contribute to his development.